Checking Email Just Got A Lot Easier — Rejoice! There’s nothing that stresses us out more than feeling like we’ve accomplished sifting through hundreds of emails, only to turn around and have that number zip right back up. 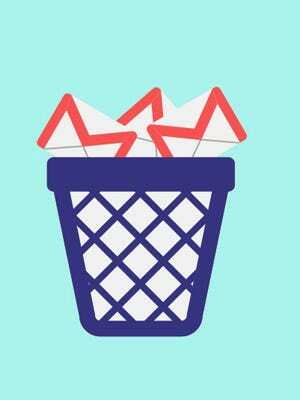 We have an ongoing vendetta with our inbox, and know we are hardly the only ones that are forever searching for ways to clean it up fast. According to CNET, in the spirit of spring cleaning, Google has rolled out a new feature that will make our online lives infinitely easier. The new feature allows users to remove their inclusion on marketing emails by posting the unsubscribe option (if the sender has one) after the subject line. You can opt out without even having to open said email. Plus, it helps folks identify — and lower the chance of reporting — real marketing emails versus spam. How swift is that? Expect the feature to hit your inbox in the next week or so. Finally, opening an email is no longer an anxiety attack waiting to happen!